Is online dating safe? I’ve got news for you, nothing that involves people you don’t know can ever be completely safe — online or offline, at home or away from home. Okay, you knew that, but I’m just trying to get some context here. Online dating is probably no less safe than many other things in life. You can enjoy safer online dating with singles by 1) using a reputable dating service and 2) understanding that even the safest of safe online dating sites will still have a small minority of members who are not there for the same reason as everyone else (actually most such rogue members are there to try to scam genuine members out of their money). These are probably the best safe online dating tips to keep in mind. Obviously you have to keep your wits about you when communicating with anyone you don’t know. One thing to be aware of when emailing or talking to singles online is that you must not let down your guard completely. Of course you must have fun, for that is a part of it, but always keep a certain alertness and a wary eye open for ‘warning signs’ that not everything about the person you are communicating with is legit. That way, if it later turns out that any suspicions you had were unfounded then there will be no harm done, but if you relax completely and get taken in by a scammer or worse then there is of course a lot to be lost. This applies to offline dating too, for in any situation where people who are strangers are relaxing and having fun there is the potential for someone to take advantage of others. Online the danger is very apparent in chatrooms. It would be so easy when you are relaxing and having fun to accidentally give away where you work, to describe your car or even let slip where you live. Anything that can personally identify you should be kept close to your chest in an online chatroom, for you just do not know who you are talking to. Why take the risk? Have fun, but do keep your guard up at all times. If you get suspicious end the chat immediately. The same applies to communicating by email. Use the email system of the service you have subscribed too and do not give away your real email address. There is no reason why anyone should ask for it, so if they do be wary and do not tell them. If they check out and you go on a date with them (always somewhere public) then you will have a better chance to get to know them and to see if the relationship blossoms. Good luck, be sensible and enjoy your online dating. A report on the safe online dating issue of background checks. 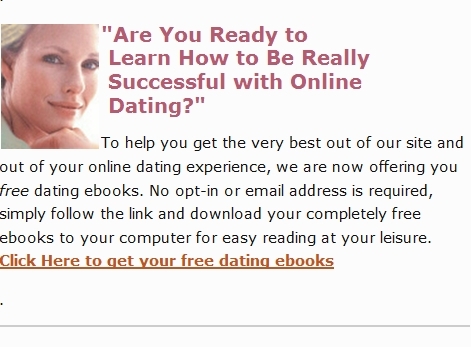 Should all dating sites carry them out? Can they lead to a false sense of security? Trying to reach safe European dating online. The points here apply to all Internet dating, actually. Online dating scams advice. Avoiding Internet dating scams perpetrated by companies or by rogue members at legitimate companies. Three specific online dating scams sometimes carried out by rogue members of dating sites. To be forewarned is to be forearmed. Don’t forget to bookmark this Safe Online Dating With Singles Tips page! Nothing in life is ever 100% safe, but you can take precautions to make safe online dating.